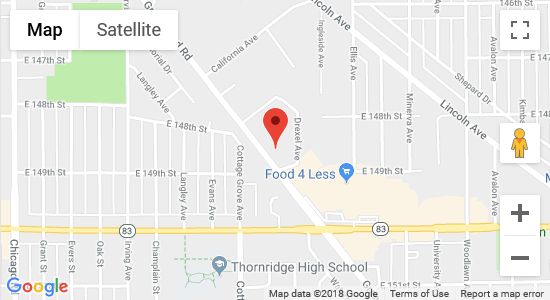 Our facility is located 30 miles South of Chicago. 2 minutes from 94 West and I-80/294. 94 West to 147th (Sibley). Exit West. 1.5 blocks North on Greenwood.